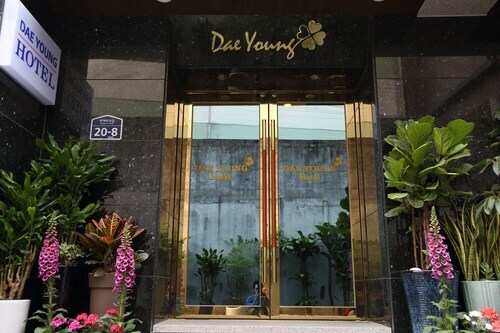 This guesthouse is located in Seoul (Jung-gu), close to Dongdaemun Design Plaza, Gwangjang Traditional Market, and Dongdaemun Market. Also nearby are Cheonggyecheon and N Seoul Tower. 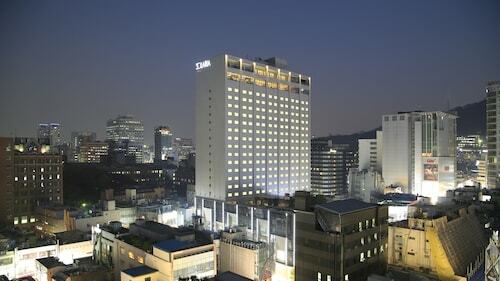 Located in Jung-gu, this hotel is within a 10-minute walk of Namdaemun Market, Myeongdong Street, and Namsan Park. Seoul City Hall and Lotte Department Store are also within 15 minutes. Hoehyeon Station is only a 4-minute walk and Myeong-dong Station is 8 minutes. This hotel is located in Seoul (Jung-gu), close to Namsangol Hanok Village, Seoul Namsan Gugakdang, and Seoul Global Culture & Tourism Center. Nearby attractions also include Myeongdong Theater. Dongdaemun Station is 29 minutes by foot. Located in Mapo, this hostel is 1.3 mi (2.1 km) from Ewha Woman's University and 1.3 mi (2.1 km) from YG Entertainment Building. Myeongdong Street and Namsan Park are also within 6 mi (10 km). Hongik University Station is 5 minutes by foot. 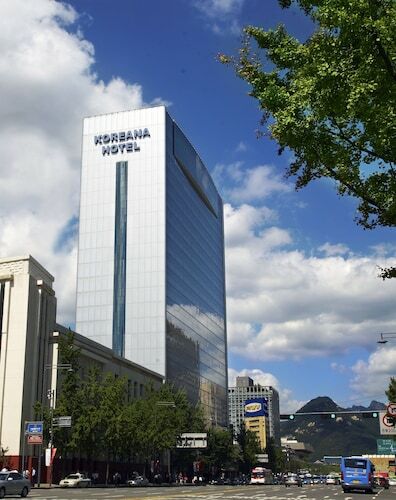 Located in the center of Seoul, this family-friendly hotel is within a 10-minute walk of U.S. Embassy & Consulate in Korea, Gwanghwamun, and Seoul City Hall. Gyeongbok Palace and Bukchon Hanok Village are also within 1 mi (2 km). 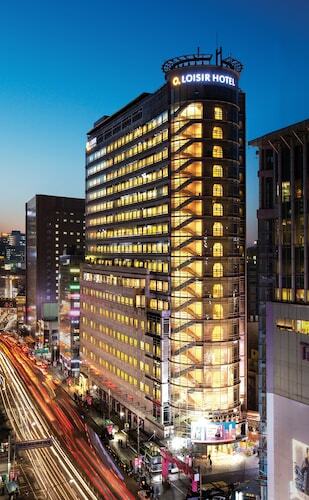 The Shilla Seoul is a prestigious global hotel combining traditional Korean aesthetics with modern sensibility. 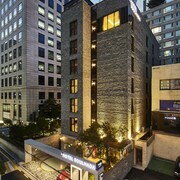 This premium hotel is located in Seoul's Chung-gu district, 0.5 km (0.3 mi) from the National Theater. The Dongdaemun Market, N Seoul Tower, and Namsan Park are about 1.6 km (1 mi) away. Located in the Gangnam district, known for business and entertainment, this Seoul hotel is just 100 meters from the subway. 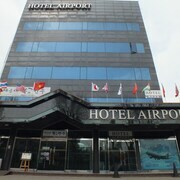 The COEX Convention and Exhibition Center is 3 km from the hotel. 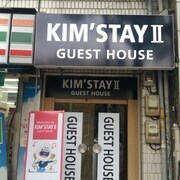 How Much is a Hotel Room in Seoul? 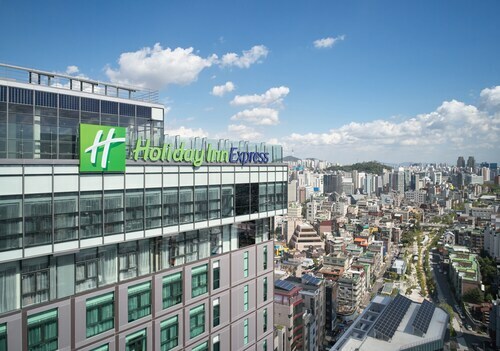 Hotels in Seoul start at C$47 per night. Prices and availability subject to change. Additional terms may apply. Seoul has been called a "shape-shifting city;" and as you travel its busy streets you'll find church steeples and ancient shrines visible against a backdrop of clustered high rise buildings. 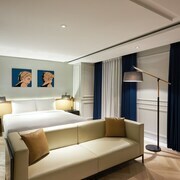 Hotels in Seoul range from charming boutique accommodations to world-class luxury experiences. In this diverse city, traditional stores without signs sit between tattoo parlors and contemporary art galleries. Amid clustered high rises you can still find "hanok:" old-fashioned houses with curved tile roofs and arched eaves. Seoul is well-organized, and the best way to explore its palaces, parks, temples, and nightclubs from your accommodations is via the exceptional Metro system. This subway provides clean, cheap, air conditioned transportation with signage in English as well as Korean. A good place to encounter Seoul's old and new traditions is the Leeum, Samsung Museum of Art, in which you'll find modern work alongside traditional Korean art and ceramics. Hotels near Gangnam put you in the midst of this fashionable district, home to cutting edge designers and luxury merchandise. If you're a history buff, you won't want to miss the War Memorial of Korea, with its superb multimedia presentations. 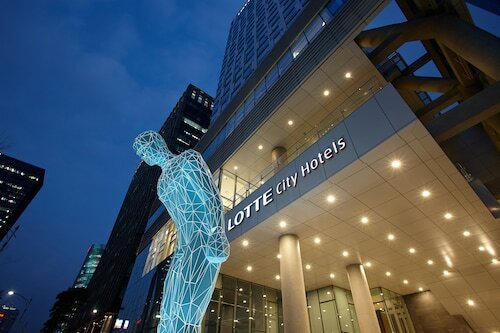 Countless city tours are available and all Seoul hotels can refer you to deals on a good one. If you want a break from urban bustle, head out for a refreshing mountain hike in Bukhansan National Park! 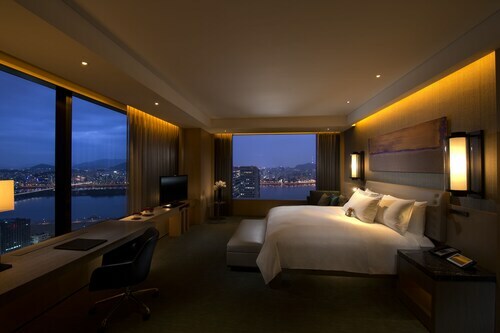 Cheap hotels in Seoul will put you in the midst of the city's world-renowned nightlife. The Itaewon neighborhood is home to many clubs, bars, and one of Seoul's best-loved restaurants, offers the unexpected taste of prize-winning Scandinavian food. Of course you'll want to sample Korea's spicy local dishes, and a number of establishments in the Samcheong neighborhood can provide you with the best traditional spreads. This is a wonderful place for first tastes of dok kalbi (marinated beef ribs) and dok boki (spicy rice cakes). 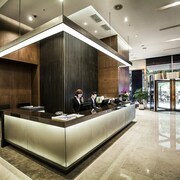 Travelocity has all the information you need to book Seoul hotels near the airport for the perfect starting point to your adventure. Throw caution to the wind and book today! This hotel was a fantastic find! The location made it easy for me to travel to many parts of Seoul easily by metro...as it is a very short walk to the Seoulleung Station. The room was very comfortable and clean (though this seems a bit hit or miss as I also stayed here a few nights prior and the different room--same style, just different room was not cleaned to the same standard...hairdryer left on bed, bed not made up for new guest, prior guests' makeup left around room, etc.) I am glad I gave the hotel the second chance! I considered not after that first stay, but the bed was so comfortable I took the risk. The desk staff was very friendly and helpful. I loved having the 7-11 in the basement accessible by elevator--great for getting in late at night. The shower was great as well. My only suggestion would be a less 'distinct' fragrance on the soap. Rum scent is not for everyone. I just ended up using soap from the Hanok House I stayed in the other nights of my trip. Overall, I highly recommend this hotel! 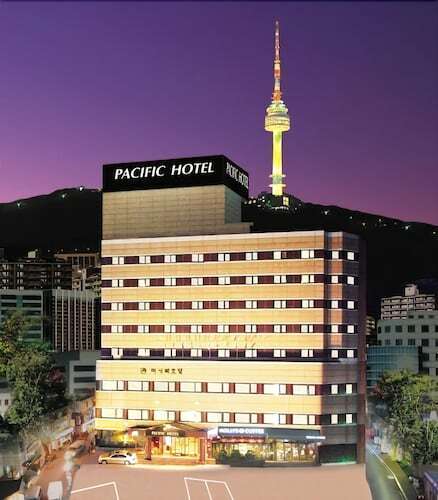 I read the reviews of Pacific Hotel before choosing this hotel for my latest stay. Pacific Hotel staff and facilities met all my expectations and I will definitely stay there again. Hotel was new and in a great location. As it customary the hotel turned off the air conditioning based on the current outside temperature. Our average room temperature was 78 F. The hotel staff did provide us with a fan. Hotel provided a great complimentary breakfast. We would stay again. Awesome Staff and amenities - the gym was especially convenient and well appointed. I love the live music at the hotel. Great for a nightcap.